Do you have the biggest housing trend of the year? Today’s homeowners and homebuyers love detached living spaces. 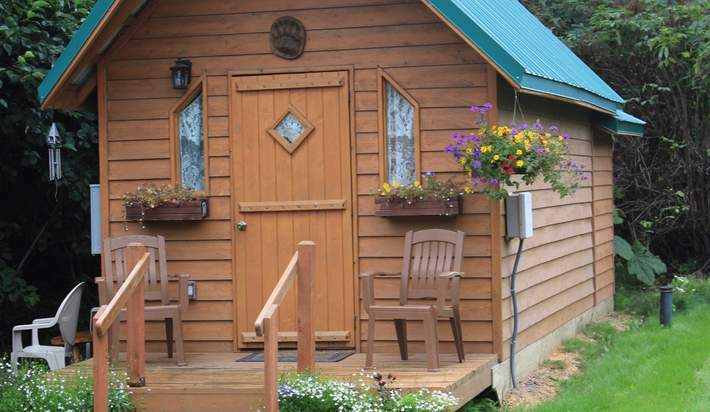 These small stand-alone structures located on the property come with all sorts of benefits — from added room for storage and recreation to extra income. Private Rental Space: You can offer the unit on a vacation rental site or lease it to a full-time tenant to bring in some extra income year-round. Individual Living Quarters: These separate units are perfect for multigenerational families. They can be used by college kids home for summer or elderly parents who need assistance but want privacy. They’re also ideal guest rooms for family and friends coming to visit. Quiet Home Office: Private, quiet and separated from all the hustle and bustle of the main house, detached units make highly functional home offices for the self-employed entrepreneur or side hustler. Creative or Leisure Room: Need somewhere to escape and relax? These units are your solution. Personalize them with an art studio, a cozy reading nook, a yoga space or whatever else helps you wind down. Fun Kids’ Playroom: Give the kids a space of their own with a toy-filled playroom in the backyard. They’re perfect for late-night slumber parties and playing video games with friends. If you’re interested in building a detached living space on your property, get in touch today for recommendations for local contractors and designers. Remember to also look into any municipal or HOA restrictions, as you may need permits before starting your build-out. Want to learn more about the market’s latest real estate trends and how your house compares? Get in touch today. Be sure to connect with me on Facebook, Linkedin, and Twitter for even more GREAT information! Are you ruining your major appliances?